TCB: What are your thoughts on Courtois at Chelsea? Ah Lau: Thibaut Courtois is an excellent keeper. Tall, lanky and good in the air is what you need as a goalkeeper. Seen him a couple of times last season with Atletico Madrid and he helped the club win the la liga title and to the final of UEFA champions league. 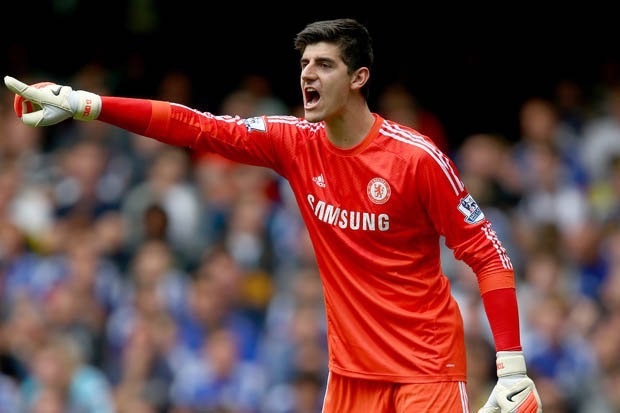 Bringing Courtois to Chelsea means he’s an asset to Chelsea and something big for the future. TCB: Has he had the sort of season you expected? Ah Lau: Eyebrows were raised when he started the season ahead of Cech. And he really proves himself right. Up to date, he has kept 12 clean sheets for chelsea and played 34 games. For someone new to the Premier league, its an impressive record and quite an achievement. TCB: What would you say are his strengths/weaknesses? Ah Lau: His strengths are definitely claiming all the aerial balls, he looks so confident and sharp when playing and every cross that comes in, he deals with it perfectly. He tends to be relaxed sometimes and take it too easy and thats the time he will get struck, thats his weakness. Overconfidence. TCB: So would you say the defence are as confident in front of him as they used to be with Cech? Ah Lau: Chelsea defence has been solid this season and when every ball Courtois went for the aerial battle, the defence would stay back in his post and protect it. Defence will be confident of you if you’re claiming all the high balls and helping out much in aerial battle. when John Terry or Gary Cahill looks back, they know they have a reliable keeper. Not only Courtois but Cech too. TCB: Do you think Chelsea should be trying to keep Cech? Ah Lau: Cech would walk out to any team to be first choice honestly. Even if he’s not playing, he works hard and never complains. Thats the right attitude and when you don’t play, you train harder. Its also sad to see Cech not playing. I’m not used to seeing him on the bench. He’s been excellent for Chelsea since 2005. My role model in fact. We have seen his ups and downs in Chelsea from horrific head injury to winning titles and losing in the final. Some excellent saves too. Maybe its time for him to move on. At the age of 32 right now, he has still a good few more years left in him and he should start playing. If you’re a goalkeeper and playing only 4 games per season, you will get affected and your form will never be the same again. Its important for him to play regularly and will win titles and to play for your country since Euro Cup is coming. TCB: And if he goes, who should we consider as a back up keeper? Ah Lau: For a back up keeper, its important that you find someone stable and reliable. In chelsea, both keepers to me are first choice. Anyone can play week in week out. Top clubs now have 2 of their best keepers in their club. Bayern Munich have Neuer and Reina. Barca Ter Stegen and Bravo. Its important to have a stable and reliable keeper. When you’re first choice is down, you know you can rely on the next one. TCB: Who would you say is the best keeper in the Premier League currently? Ah Lau: Currently i have to say DavId de Gea. He’s been excellent this season. some top saves. Without him, i don’t think Man United will be at the current position right now. Fast, agile and good shot stopping . Ah Lau: All the best to Chelsea this season and with one game left to win, its a been a very good season for Mourinho side.